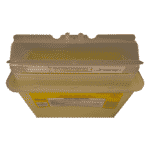 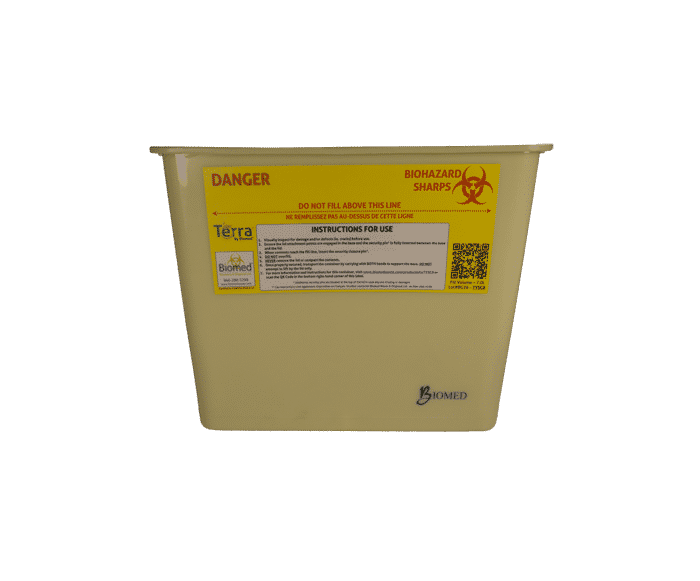 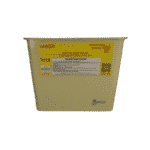 8-Litre Sharps Container – Biomed Recovery & Disposal Ltd.
Our most popular container is the Terra™ 8-litre sharps container (TYSC8). 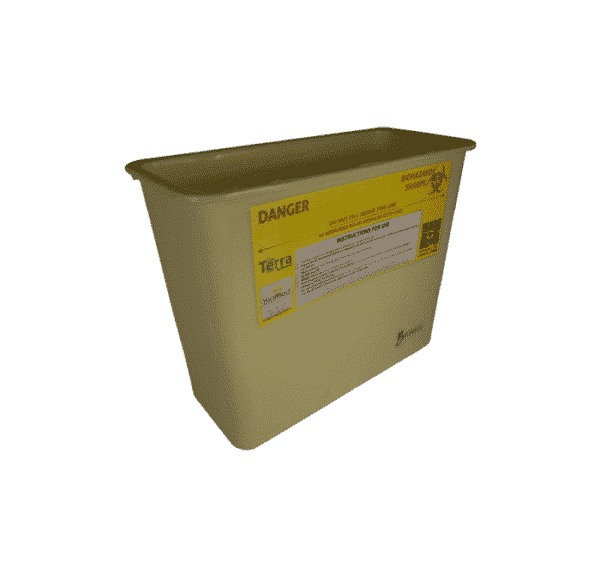 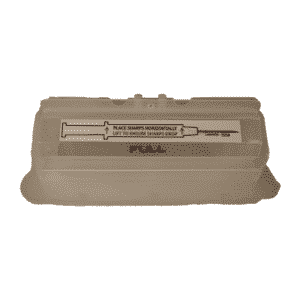 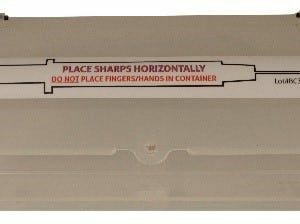 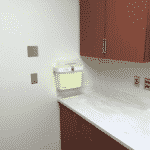 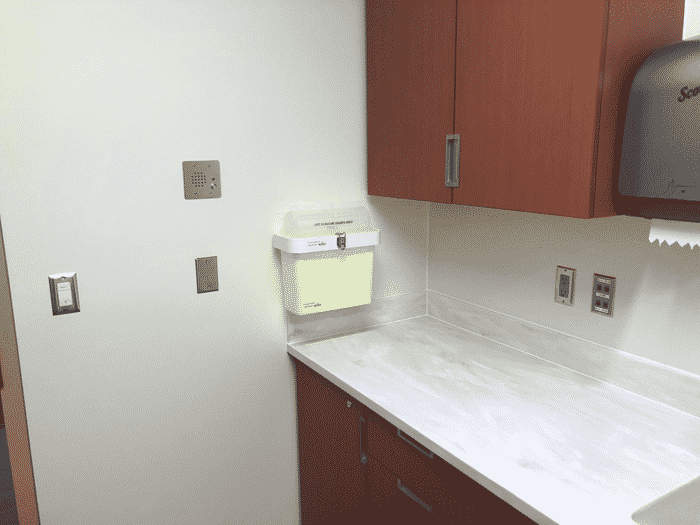 It meets CAN/CSA Z316.6-14 standards for sharps containers and is versatile and rigid – perfect for large-volume sharps generators such as hospitals. 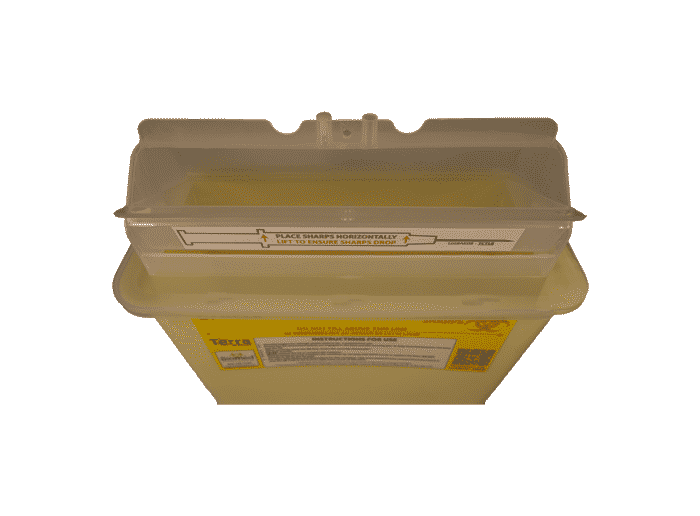 The TYSC8 can be topped with either a secure turbine safety lid (TCTL8) (pictured here) or a lab lid (TCLL8) for secure areas. 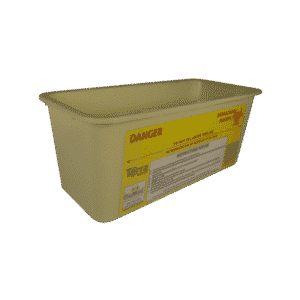 This container can be accessorized with a table base (TCTB8), or hung on the wall and secured with either a locking wall bracket (TWWB8) or a hinged, locking wall bracket (TWHB8).